This is a recipe for your friends. These are not confections to carry off to some office dinner party to meet your boss’ wife or to a potluck for people you don’t really know. Why? Because that’s some perfectly good tequila in there and it should be appreciated by and shared with only true friends. True friends, by definition, deserve good tequila-based treats. These are words to live by. For this reason, when I was invited over to my best friend’s house for dinner recently, I happily offered to bring dessert. It was with those ingredients in mind that I forged ahead into formulating this recipe. 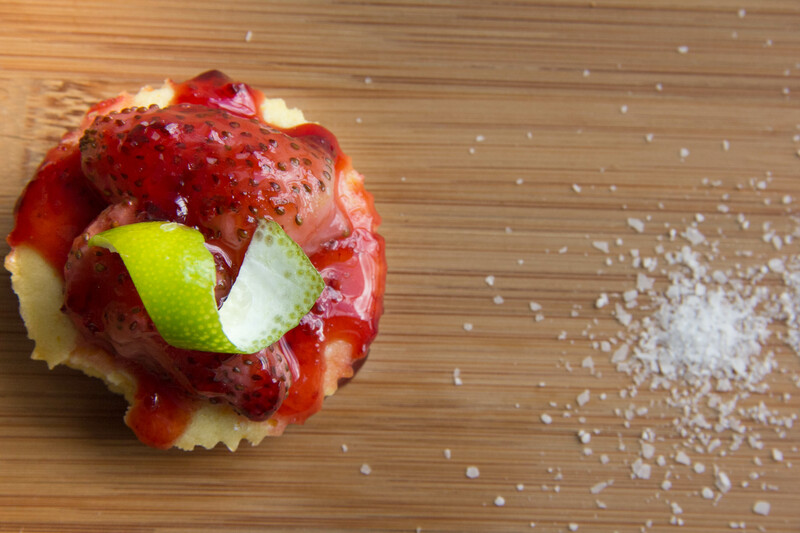 To really infuse the margarita character, I poached the strawberries in a tequila/lime/agave/salt liquid combination. This turned out to be especially enjoyable because when you begin the simmering process, the whole house fills with the aroma of a summertime bliss. In other words, your house smells like a giant margarita. And there is nothing wrong with that. 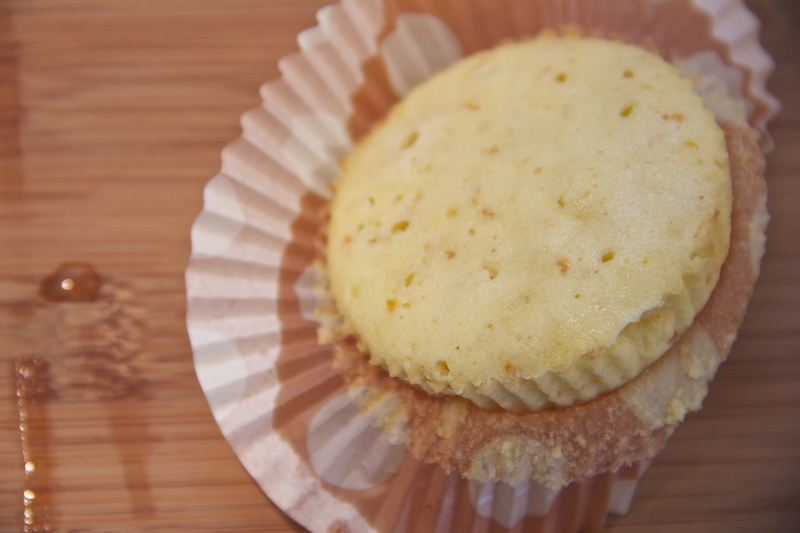 To mimic the orange liqueur, I decided to make orange-flavored cake using freshly squeezed juice and grated zest. When finished, these treats are almost shockingly packed with the cocktail’s classic flavors and have a mouth-puckering tartness balanced by the sweet, spongy cake. I’m calling them “cakelets” because they’re not really cupcakes, and they’re not really tarts; they’re somewhere in between. Before serving them after dinner I topped them off with a little bit of sea salt and a twist of lime. For the full experience you can even serve these in a signature margarita glass! Your true friends will truly love it. 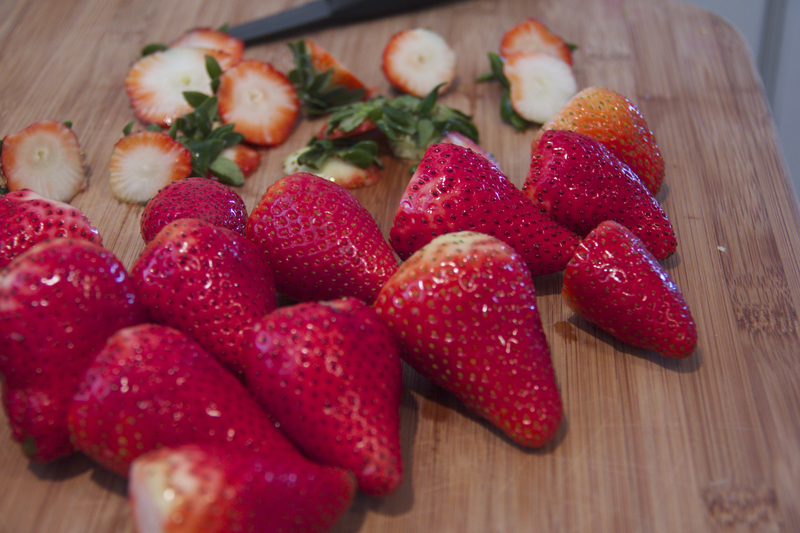 Simmer the strawberries in the liquid mixture for about 10 minutes, or until tender to the fork. 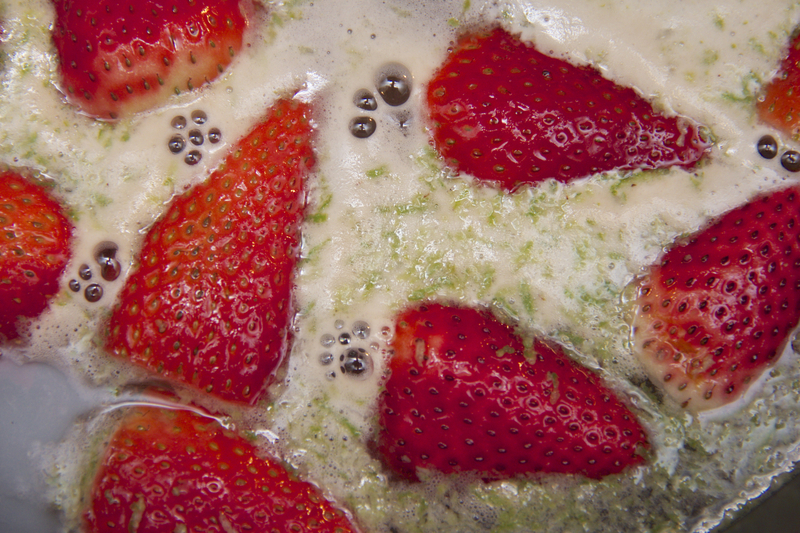 Remove the strawberries and continue to simmer the liquid until reduced by half, or until it becomes a syrup. Whip together the egg, sugar, salt, orange juice, and zest for 3 minutes or until light and fluffy. Incrementally fold in the flour, and then the butter. Separate into cupcake cups, filling only halfway. Separate the strawberries out over the cakelets and drizzle your syrup over each. If the syrup has become a little too thick to work with, the fix is simple – follow another one of life’s great mantras – add more tequila!! These look so good! And your photos are GORGEOUS! I’m going to try these, we are tequila lovers.